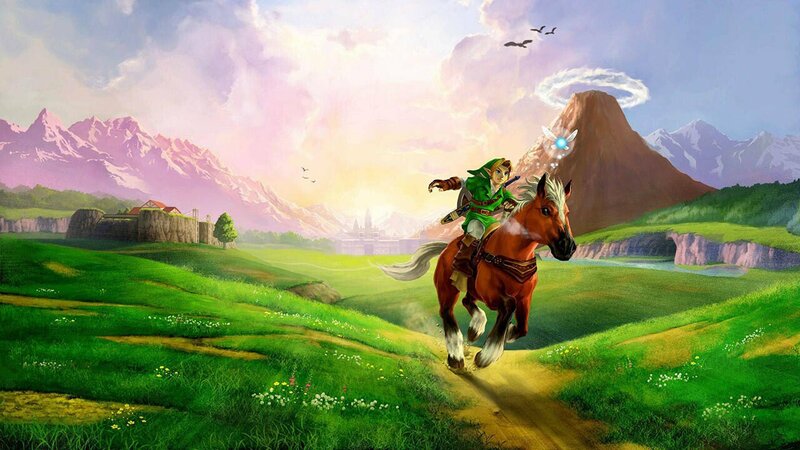 The Legend of Zelda: Ocarina of Time 3D proves that there’s a place for history in the current gaming landscape, primarily because it’s everything a remake should be. It introduces modern updates that make the game palatable for a new generation without alienating fans with fond memories of the original, and is consequently tied to the past, present, and future of gaming. At it’s core, Ocarina of Time 3D is nothing less than what you’d expect. The puzzles, bosses, and dungeons are almost exactly what they were when the game first came out, and while some of the mechanics feel a little dated – you forget how annoying mid-dungeon backtracking can be – Nintendo has nonetheless stayed true to the original design and the gameplay holds up well enough to be relevant today. The game also looks better than it ever has before. The assets unquestionably belong to the N64 era, but everything has been optimized with a new polish that’s incredibly crisp in both two and three dimensions. The blocky polygons have been smoothed over with more rounded textures and while the 3D doesn’t add anything directly to gameplay, it is stable enough to be enjoyable. However, the best way to explain the game’s visual appeal is in relation to other relics from the nineties. Whether it’s Resident Evil or Final Fantasy VII, revisiting old games can be a little jarring because graphics that once served as the foundation for breathtaking FMVs are now painfully dated artifacts from a bygone age. 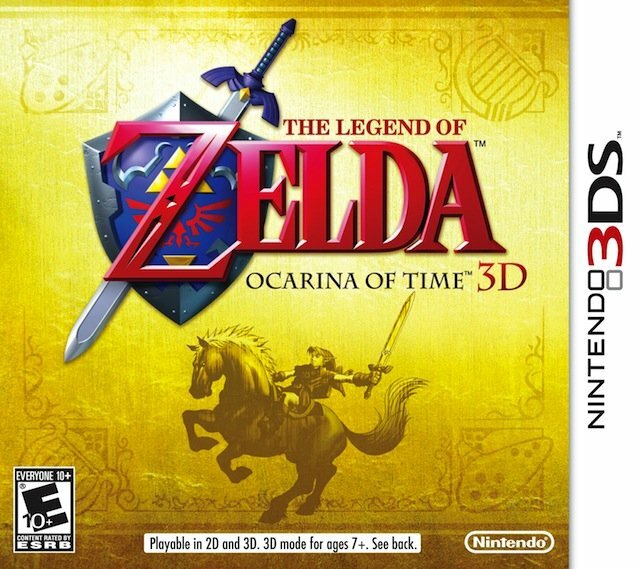 Ocarina of Time 3D, on the other hand, is a classic title that matches the unreasonable demands of nostalgia. It basically looks just as good as you remember, so even though it doesn’t seem ‘modern,’ it doesn’t suffer in comparison to more recent HD releases. Beyond the purely aesthetic, Ocarina of Time 3D introduces a few other updates that make for a more immersive experience. It’s the small details that make the difference. Some of that is visual – the shadows that drop from the ceiling now take the shape of the encroaching hand monsters – and some of that is tied to gameplay. For instance, you can map items to the X and Y buttons to make it easier to use weapons like the Hookshot, and those subtle improvements are evident throughout the cartridge. Indeed, the entire control scheme is remarkably tight and intuitive, with virtually none of the frustrations I’ve come to associate with portable gaming. You’ll have to account for the inherent limitations of the format – smaller screen, awkward shoulder buttons, and etc. – but those are minor concerns and the touch screen really does make a difference. The icons you’ll need to use are all conveniently located in the corners of the screen, and it’s surprisingly easy to switch from one item to another on the fly. The 3DS is just a step beyond the N64 when it comes to inventory. The original Ocarina of Time only provided you with three item slots, one of which was often reserved for the ever-necessary ocarina. In the remake, the ocarina has its own permanent spot on the touch screen, and you’ve also been provided with four additional slots for other items. The extra utility reduces menu clutter and improves the flow of gameplay, allowing you to engage with the puzzles instead of the inventory. The benefits are particularly evident once you make it to the Water Temple, which is now relatively painless even though Nintendo hasn’t altered the structure or the difficulty. Boots are classified as items instead of Gear, so you can place the Iron Boots in one of your designated item slots and equip them with one press of a button. There are simply far fewer interruptions here than there were with the N64. Some of the later temples still require a bit of management – the Hover Boots, for instance, are likely to be ignored unless absolutely necessary – but the point-and-click touch screen makes the process much faster than it was with a console. The 3DS motion features, meanwhile, are incorporated with projectile weapons like the Bow and Arrow and the ability to use the console as a targeting window ultimately adds to the overall experience. It’s a bit gimmicky, but it’s a helpful feature if you’re trying to make slight adjustments while firing (the shooting galleries are a good example), and it doesn’t disturb the natural flow of gameplay as long as you’re not trying to do a full 180. You can also turn the feature off, so it’s not as if you have to put up with it if you’re not interested. As for the new stuff rolled out for the remake, the Boss Challenge Mode is a welcome if unexciting addition that’s there if you suddenly feel the urge to battle Bongo Bongo, while strategy can be gleaned from the new Sheikah Stones that are essentially tiny movie theatres that provide short video montages in lieu of written hints. The well-constructed sequences point you in the right direction without giving too much away in terms of context and the story, although the clues are quite explicit so you’ll want to avoid the guides if you want the satisfaction of do-it-yourself. Unfortunately, the Sheikah Stones may not accessible for the players who need them the most. They’re in obvious locations, but they’re not available mid-dungeon and the detours may be more aggravating than the puzzles. Even if that is a deliberate design decision, it defeats the purpose of hints if newer players can’t get advice in a timely fashion. Considering that the 3DS drains batteries faster than a jet engine drains gasoline, an auto-save function would also have been greatly appreciated. I learned that lesson the hard way. I only had to replay the relatively brief Dodongo’s Cavern, but it’s nonetheless a glaring omission given the growth of the industry during the past ten years and it’s the one thing that truly makes Ocarina of Time 3D feel like a game from yesteryear. Finally, there’s the Master Quest, which is unlocked once you’ve finished the original version of the game. The Master Quest offers a mirror image of Hyrule and all of the associated dungeons, and it’s more than a mere reflection. Many of the puzzles have been completely reworked with new solutions and the dungeons are packed with more (and more powerful) enemies. There are enough differences to justify the second play through, and veterans will enjoy the added gameplay value. So while I wouldn’t necessarily say Ocarina of Time 3D is a must-buy if you’re familiar with the original – it is a port of a game that came out more than a decade ago – it’s easily the best thing currently available for the 3DS and you definitely won’t regret picking it up. If you haven’t played Ocarina of Time, it’s an even simpler recommendation. Buy this game, and take the time to appreciate a genuine classic. So while I wouldn’t necessarily say Ocarina of Time 3D is a must-buy if you’re familiar with the original – it is a port of a game that came out more than a decade ago – it’s easily the best thing currently available for the 3DS and you definitely won’t regret picking it up.